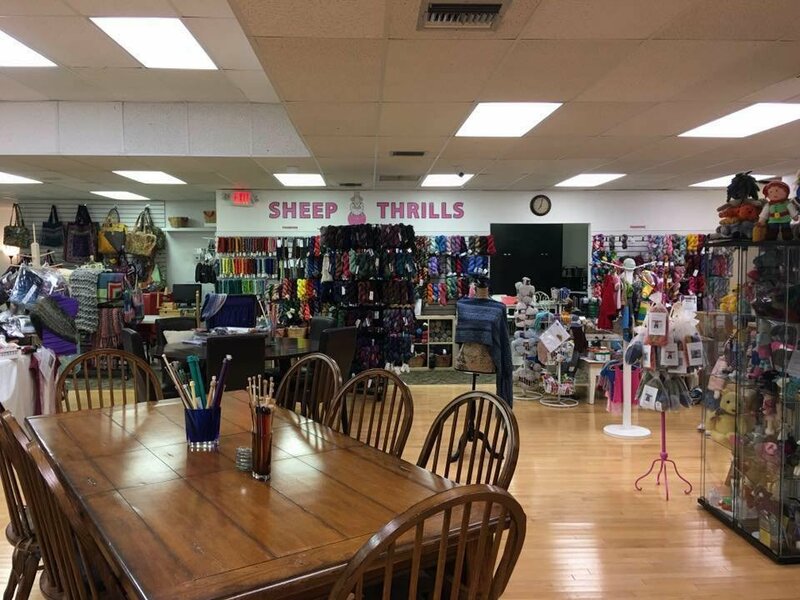 SHEEP THRILLS is the go-to destination for locals, snow birds and tourists who enjoy knitting, crocheting, weaving, needle felting and spinning. If you can't visit us in person be sure to shop in our web store. We are located in Lauderhill, Florida in central Broward County midway between Boca Raton in Palm Beach County and Aventura in Miami-Dade County - a short drive to the Beaches of Fort Lauderdale and the mega Sawgrass Mills Mall. Ponchini 101 and Be Basics: Short Rows. Classes will be $75 each or $125 for both (a savings of $25!). His classes always fill up quickly so sign up soon and join the fun! Come celebrate Local Yarn Store Day with us at Sheep Thrills on Saturday, April 27, 2019. 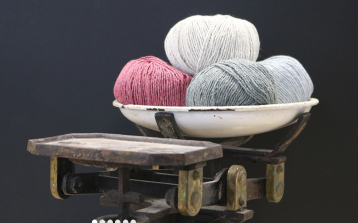 Casapinka is launching a new pattern which we will feature with specially dyed yarn from Three Irish Girls. 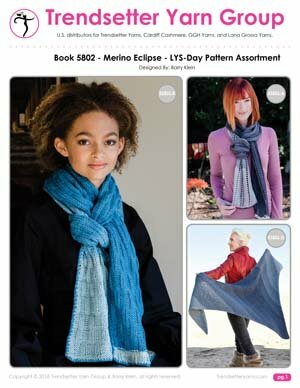 Barry Klein and Trendsetter Yarns have published a new Pattern Assortment Booklet featuring scarves, shawls and a blanket (free with purchase of yarn). 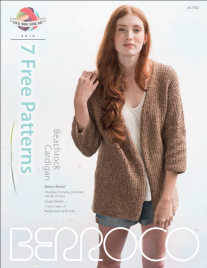 using some of their most popular yarns (free with purchase of yarn). 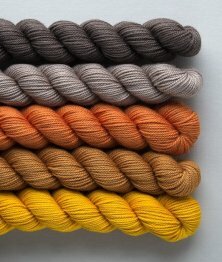 We will also be offering Sweet Georgia's Party of Five Gradient Kits at a one-day only 10% discount. These kits are perfect for the "Anywhere Cowl" (pattern will be available in the shop). We will also be having a raffle and of course we will have snacks!! So stop in on Saturday, April 27 to join in the celebration! Did you miss out on our inaugural Weaving at Sea Cruise? Or did you cruise with us and have such a fantastic time that you'd like to do it again? 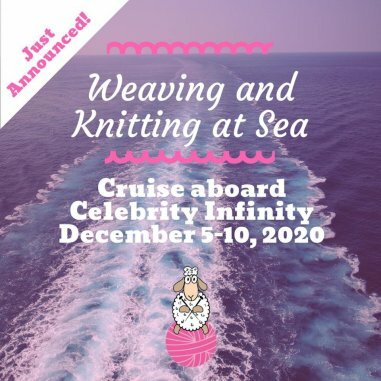 You are invited to join us on our "Weaving and Knitting at Sea 2020 Cruise". 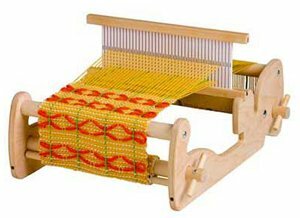 We will be offering classes for BOTH weavers and knitters. Please click here for the details. You'll want to sign up early and start making plans for a cruise you won't forget! New yarns are arriving daily - here are just a few of the latest! Sheep Thrills is a Rowan Yarn Flagship Store!! This means that we carry a majority of Rowan's beautiful yarns -- from their Silky Lace to their Hemp Tweed -- and more are on the way. Browse our complete selection of these fine yarns here. 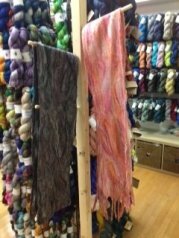 Sheep Thrills is happy to introduce yarns from Juniper Moon Farm. Stargazer, Findley and Cumulus, Cumulus Dappled all have a luxurious 'hand' and need to be touched to fully appreciate their softness. Zooey and Zooey Dappled a cotton/linen blend is available in both solids and 'dapples'. It's great for warmer weather clothing and is softer than most other blends. This gorgeous color blocked bag was designed with the modern knitter, crocheter, and crafter in mind. It was designed to fulfill a variety of needs, so you never have to leave the house without FDC again. 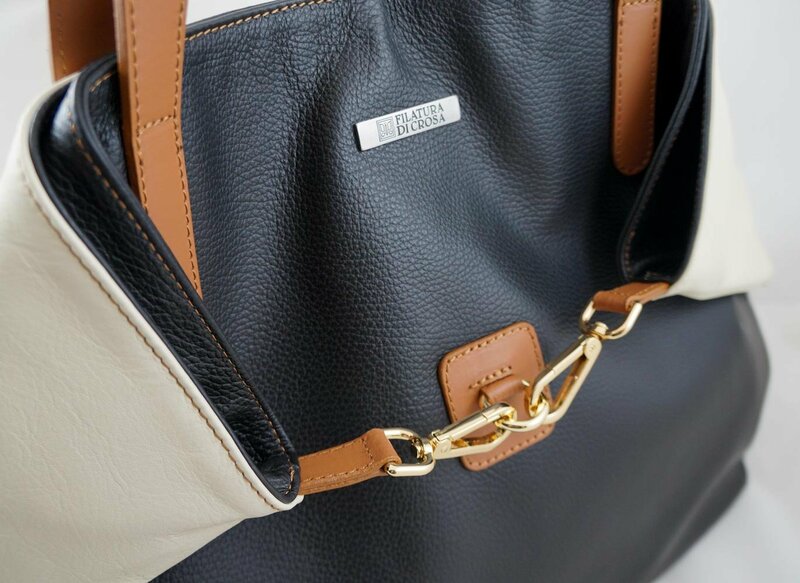 It can be used as a handbag, a travel bag, a project bag, and so much more! Sheep Thrills is proud to announce the arrival of our own line of yarns. My Merino (an extrafine superwash merino wool), Bagliore (a worsted weight acrylic), and Silk Dynasty (a 100% hand-dyed 4-ply silk). 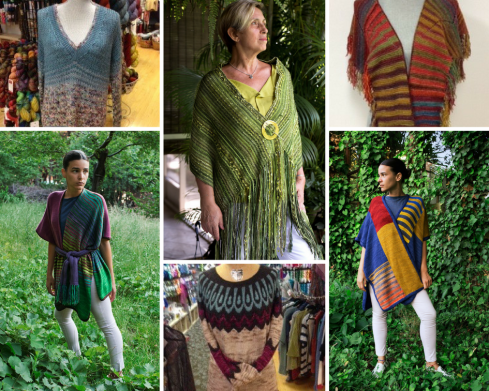 We also are developing a line of patterns for knitters and weavers. Here are just a few of them! 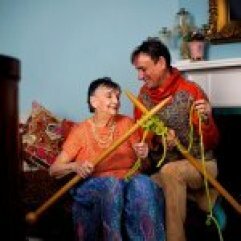 Visit our showcase of projects to see what you can do with our beautiful yarns. Click here for tons of inspiration! 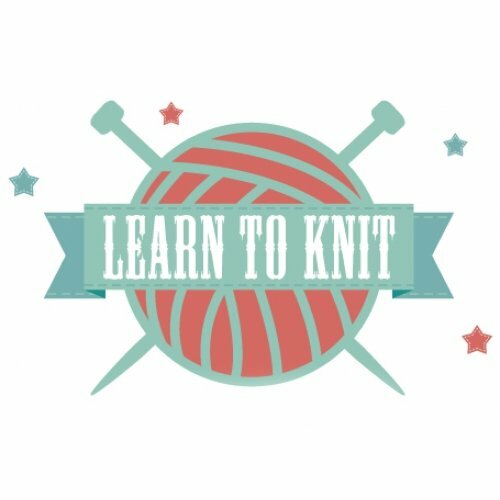 Do you want to update your skills or learn a new technique? click here to see the full calendar of classes and events.